Cholesterol is a wax-like substance found in every cell of the body. Liver naturally produces about 80% of the body's cholesterol and it is also consumed from the food we eat like poultry, eggs, meat, fish and dairy products. 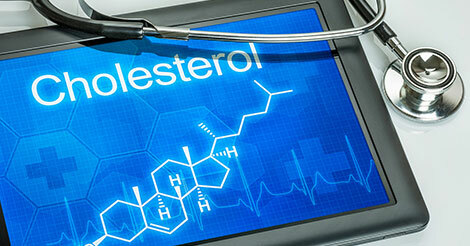 Cholesterol is regulated in liver. After we eat, cholesterol from the diet is absorbed from the small intestine, metabolized and stored in the liver. As in when the body requires cholesterol, it gets secreted by the liver. Due to excessive intake of fat rich diet, cholesterol begins to build up as ‘plaque’ (deposits) along the inside walls of arteries, making them narrow and sometimes leading to complete obstruction. Weight - Being overweight also increases blood cholesterol.